Introducing: Kaji, Riku, Yamii, Koori and Kaze, the five protagonist of my fanfic "Raise of the creators". This five, as you know are the Creators of the Digital World (Kaji, Riku and Yamii more exactly). 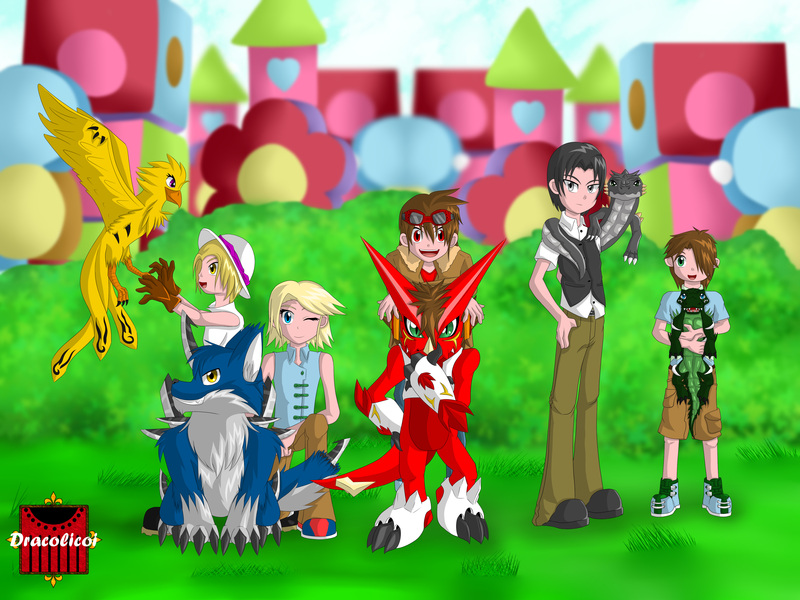 And now I show you they Digimon Partners. I really Hope you like them!